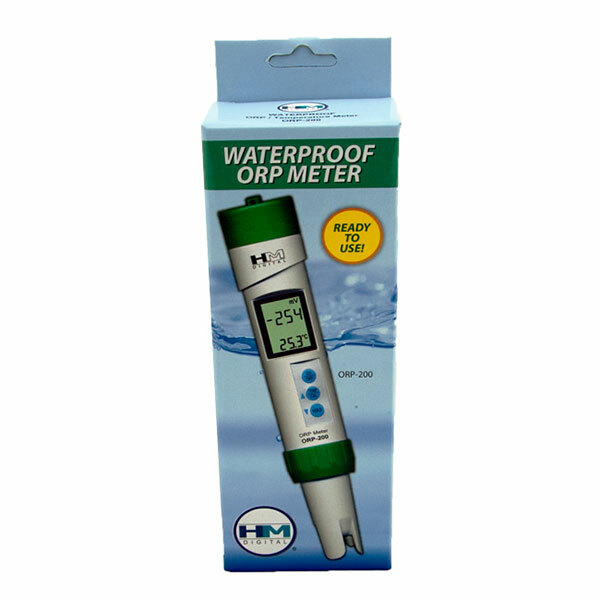 HM ORP-200 Digital ORP meter is an advanced, micro-processor based tester with superior accuracy. 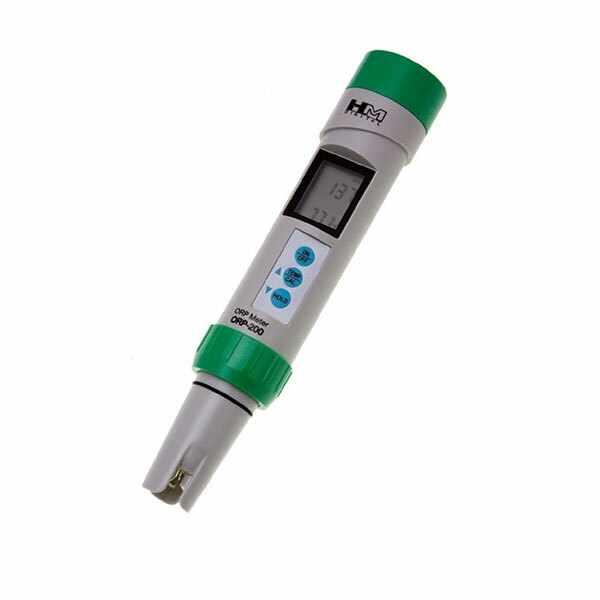 It can be used for testing the Oxidation Reduction (REDOX) Potential levels of almost any liquids, providing the liquid contains less than 50% alcohol and conductivity of minimum 2µS (1ppm). The higher the ORP, the greater the number of oxidizing contaminants. The meter also measures the temperature of testing media in both Celsius and Fahrenheit. The digital calibration function offers user an easy and precise measurement on regular basis. Auto-off function, data-hold function, and low-battery indicator. Factory Calibrated: The ORP-200 meter is factory calibrated to +92 mV. The meter can be easily recalibrated with digital calibration using push button rather than a screwdriver. 11. Minimum Conductivity Requirement: For accurate and stable readings, the liquid to be tested must have a conductivity of at least 2µS (1ppm). 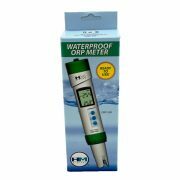 The meter may not work in pure or distilled water.